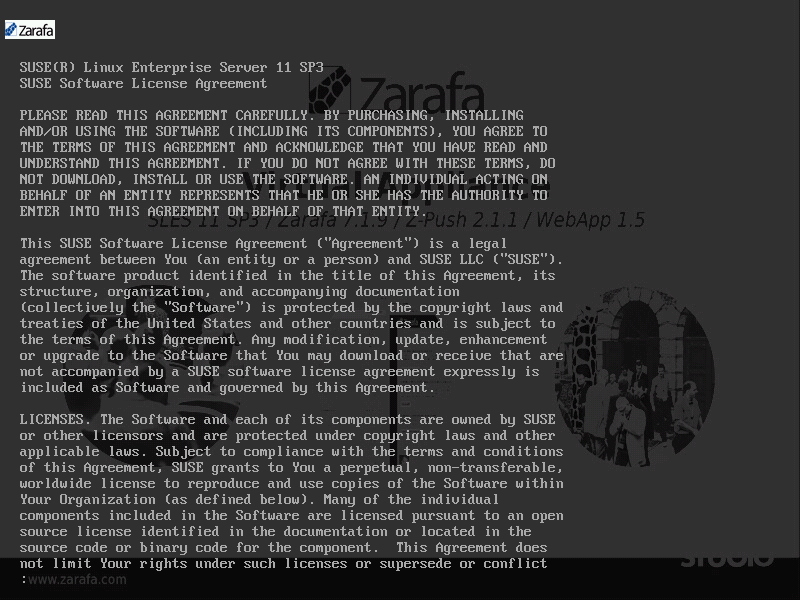 With this virtual machine based at SUSE SLES 11 SP3 we give you the chance to test Zarafa in a preconfigured environment. 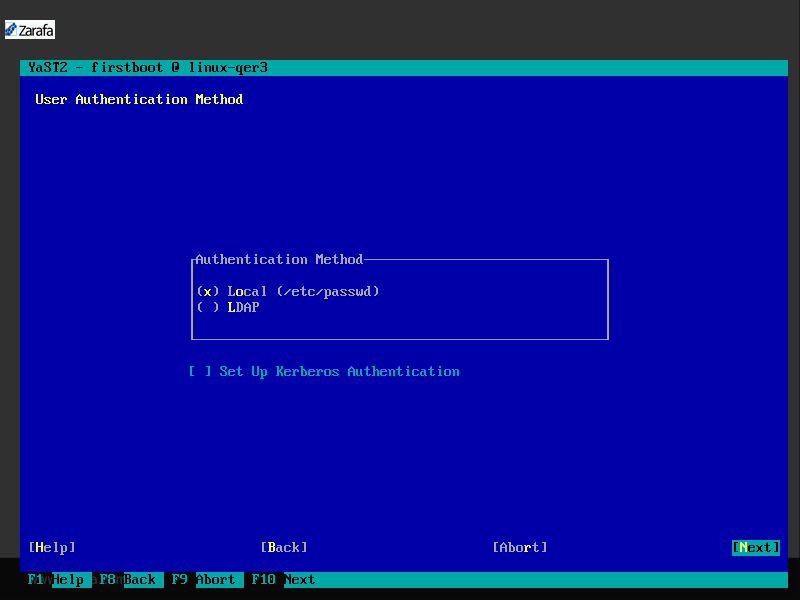 The VM include the latest version from Zarafa and Z-Push. 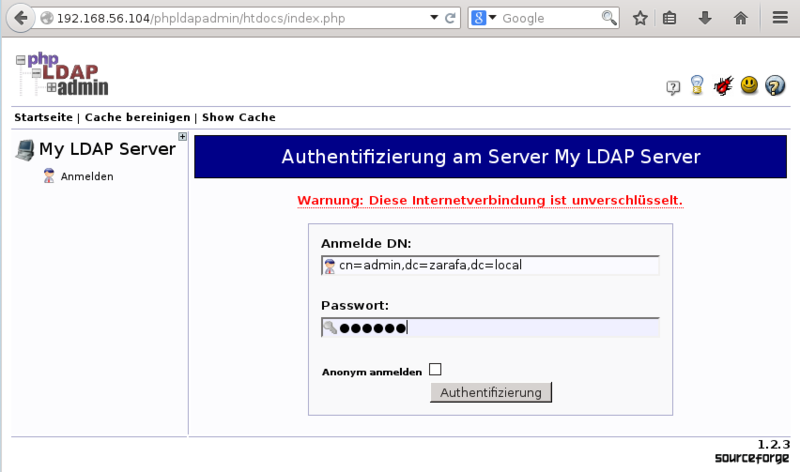 Also is an OpenLDAP server with demo users and a demo group and a webbased (phpLDAPadmin) frontend included. The phpLDAPadmin have as bonus fitted Zarafa templates for easy administration. 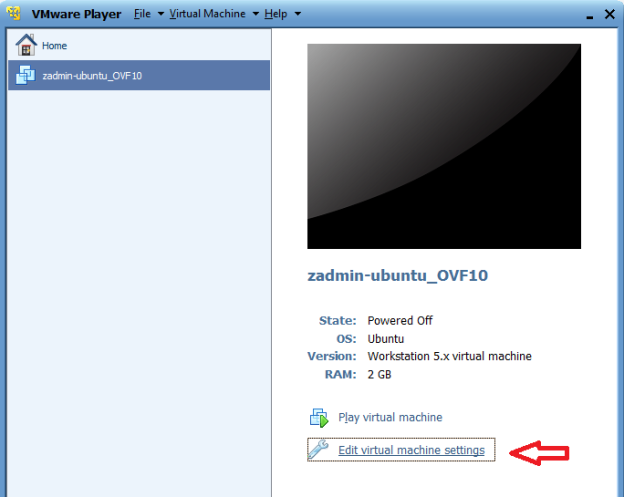 The appliance is for Virtualbox useage optimized, an import in VMware player or ESX is also possible. You can end licenseview with a '''q''' and accept the license with '''y'''. 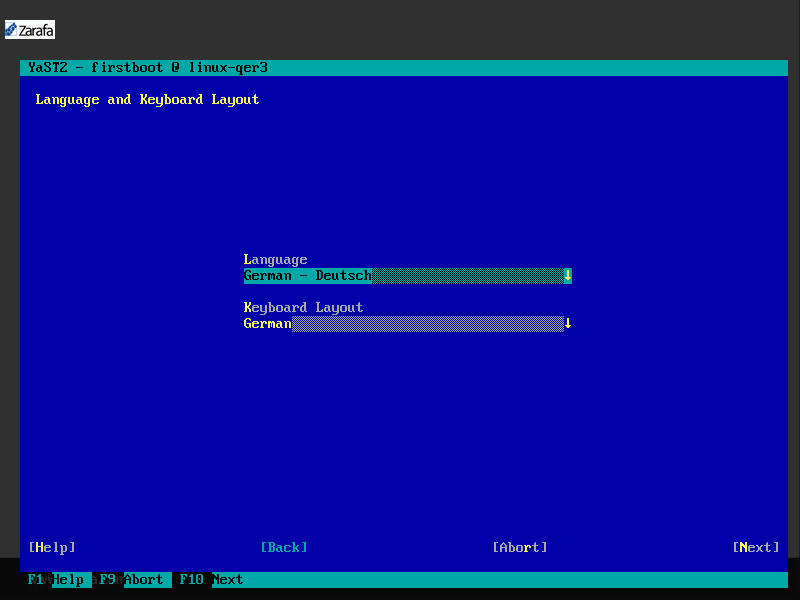 You can change to your prefered language and keyboard layout. You can choose your Region and your timezone. 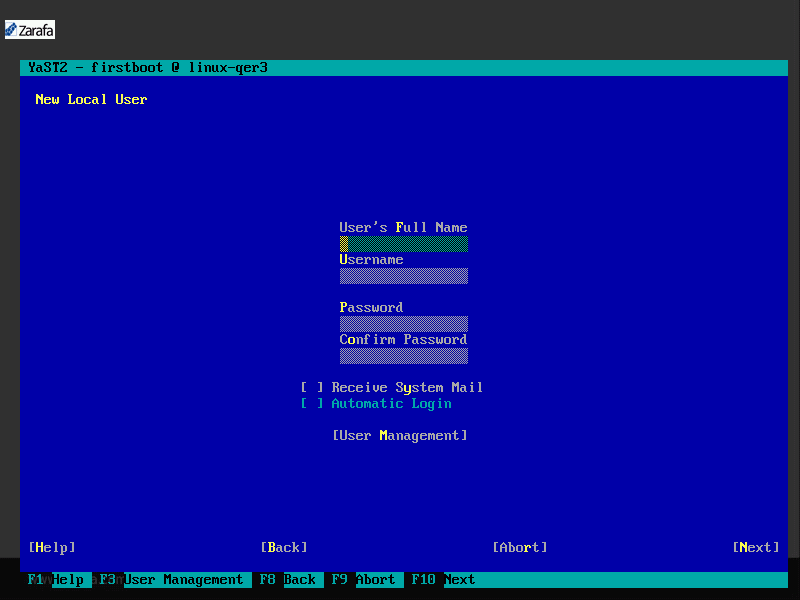 The passwort for Linuxadministrator '''root'''. You can let the authentication at '''Local''' because it´s for the linux users. This depends NOT the Zarafa users. You can create a linux system user. This has no effects for usage of Zarafa. 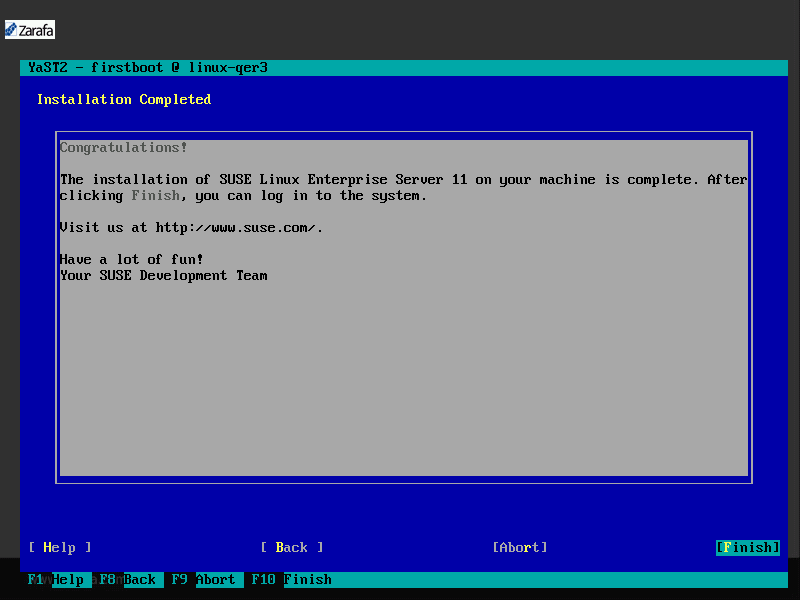 If you not create a linuxuser the system will ask you if you are shure, you can answer with '''Yes'''. Finished boot of system without any error and with IP-adress. There is already a group with name group1 preconfigured. Both demo users are member of this group. The appliance is configured, that you can send emails internaly and you can test all groupwarefeatures from Zarafa. It is possible to change the configuration for send and recieve emails from / to the internet. 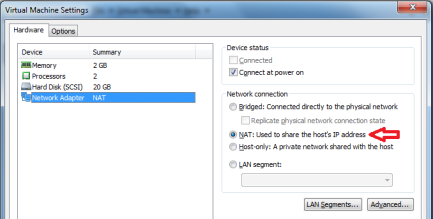 Go to the network adapters tab and select NAT. 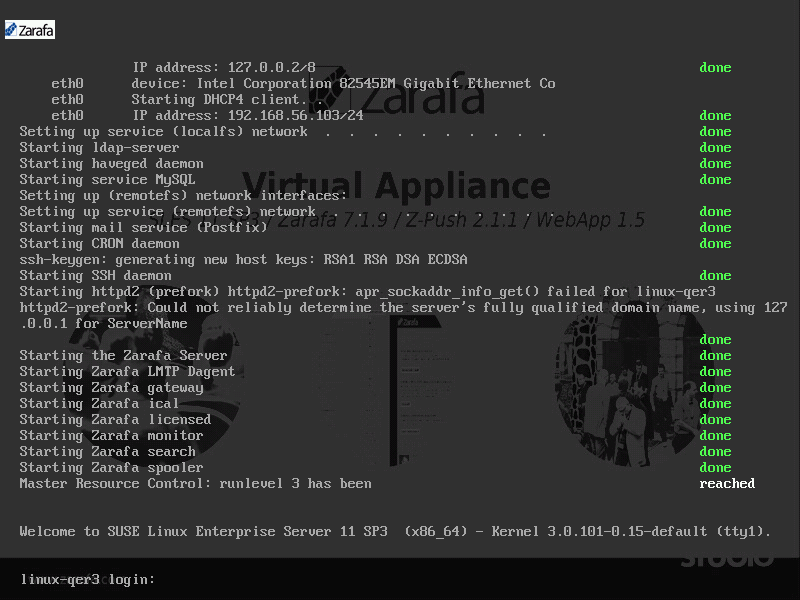 After that click OK en reboot your Virtual Appliance and your IP must be changed to a local IP. You can end licenseview with a q and accept the license with y. 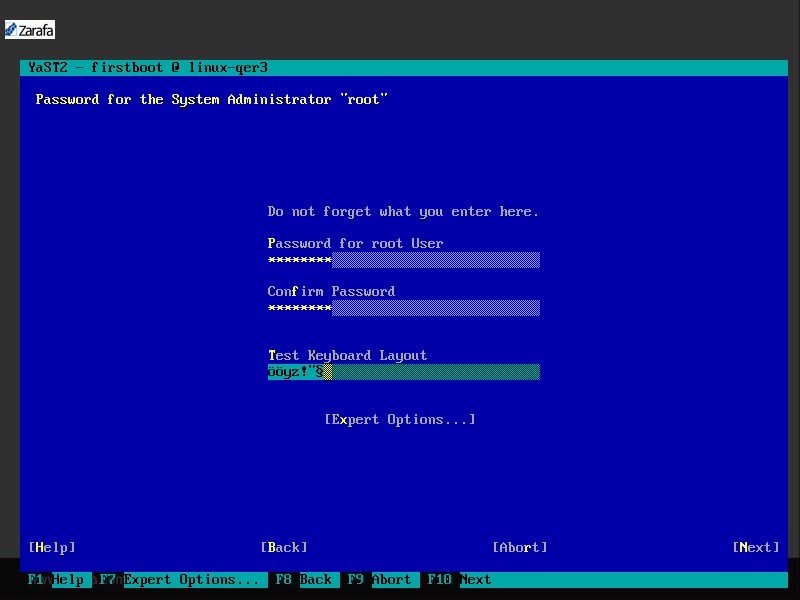 The passwort for Linuxadministrator root. 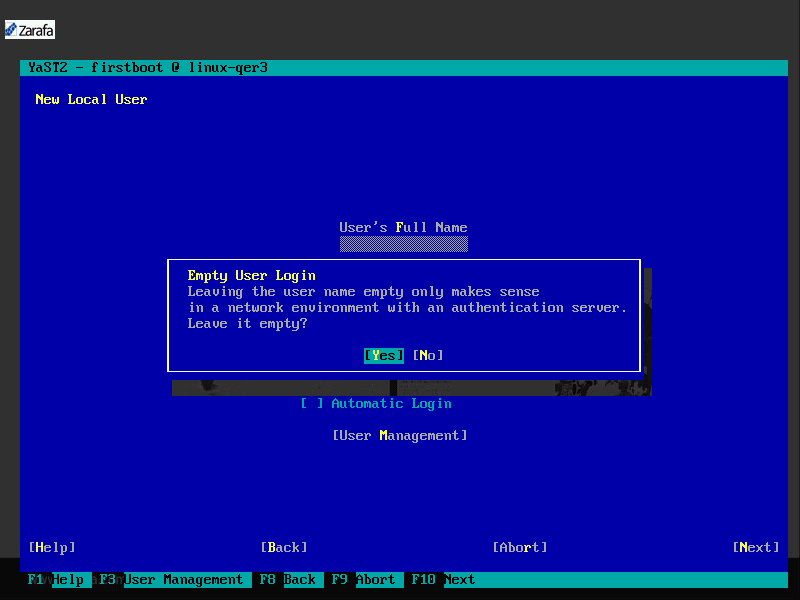 You can let the authentication at Local because it´s for the linux users. This depends NOT the Zarafa users. If you not create a linuxuser the system will ask you if you are shure, you can answer with Yes. The appliance is configured, that you can send emails internaly and you can test all groupwarefeatures from Zarafa. It is possible to change the configuration for send and recieve emails from / to the internet. This page was last modified on 4 July 2014, at 15:02.